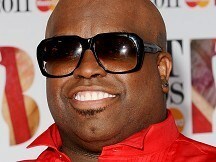 News - Cee Lo for UK version of The Voice? Cee Lo for UK version of The Voice? The Forget You singer, who appears on the US show alongside Christina Aguilera and Maroon 5 star Adam Levine, also said he'd previously been offered a judging gig on this year's UK X Factor. Cee Lo told the Independent on Sunday he planned to accept the coaching job on The Voice, which is set to debut on the BBC next year. He said: "Maybe I'm speaking a bit prematurely, but I plan to take it - we just have to work out a schedule that is not completely overbearing. "But I think if they do it right we will have concluded with [The Voice in America] and I will be totally free to do it." Cee Lo added: "[Simon Cowell] actually invited me to do The X Factor first, in the UK - he wanted me to take over his seat. "This was around the time that both of these options were being tossed about. We just didn't get back to each other in a timely fashion. And The Voice were just a bit more adamant about the commitment - and committing to me. So here we are."